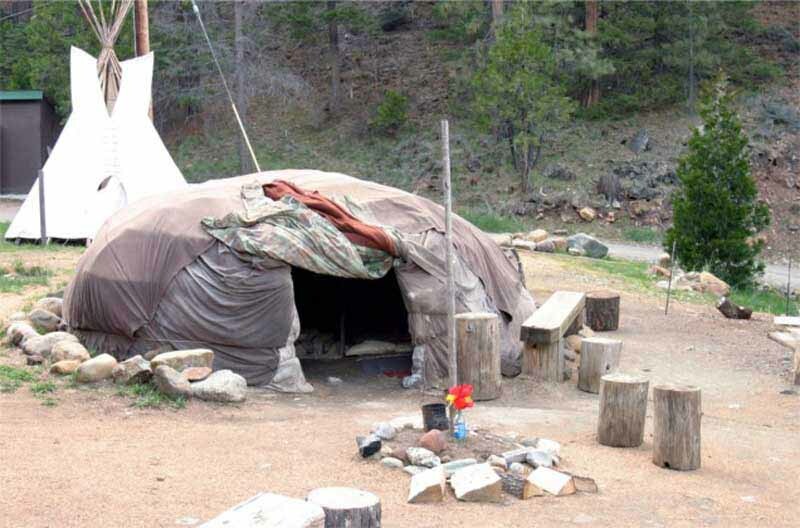 The sweat lodge is a low profile hut, typically dome-shaped or oblong, and made with natural materials. The structure is the lodge, and the ceremony done within the structure may be called a purification ceremony or simply a sweat. Traditionally the structure is simple, constructed of saplings covered with blankets and sometimes animal skins. Originally, it was only used by some of the Indigenous peoples of the Americas, notably the Plains Indians. But with the rise of pan-Indianism, numerous nations that did not originally have the sweat lodge ceremony have adopted it. This has been controversial. In all cases, the sweat is intended as a religious ceremony - it is for prayer and healing, and the ceremony is only to be led by elders who know the language, songs, traditions and safety protocols. Otherwise, the ceremony can be dangerous if done improperly - both physically and spiritually. Use of the sweat lodge has been misappropriated by some non-natives in North America and internationally, resulting in responses like the Lakota Declaration of War and similar statements from Indigenous Elders declaring that these dangerous and disrespectful misappropriations need to stop. There are several styles of structures used in different cultures; in addition to the most common domed or oblong structures, there are also permanent structures made of wood and earth. Stones are typically heated and then water poured over them to create steam. There are examples of ritual sweating in other cultures, though often without any ceremonial or mystical significance. Secular uses around the world include the indigenous people around the Bering Strait, ancient Greeks, ancient Romans, the northern Finns and Laplanders, and the so-called "Turkish bath" in England. Some European cultures have historically used sweating for cleansing. In most cases the usage is primarily for physical cleansing and warmth, but in others prayer and songs may be involved. Scandinavian, Baltic and Eastern European cultures incorporate sweat baths in their sauna traditions, which are held within a permanent, wooden hut. While modern-day saunas are usually wholly secular, there are older traditions of songs and rituals in the sauna, and the acknowledgement of a spirit-being who lives in the sauna. Vapor baths were in use among the Celtic tribes, and the sweat-house was in general use in Ireland down to the 18th, and even survived into the 19th century. It was of beehive shape and was covered with clay. It was especially resorted to as a cure for rheumatism. These permanent structures were built of stone, and square or corbeled "beehive" versions are often found, mostly in the Irish and Gaelic-speaking areas of Ireland and Scotland, though most seem of relatively recent date. The method of construction, heating the structure, and usage was different from the North American examples, and they seem to have been regarded as therapeutic in function, like the sauna, and perhaps typically used by one person at a time, given their small size. Native Americans in many regions have sweat lodge ceremonies. For example, Chumash peoples of the central coast of California build sweat lodges in coastal areas in association with habitation sites. The ancient Mesoamerican tribes of Mexico, such as the Aztec and Olmec, practiced a sweat bath ceremony known as temazcal as a religious rite of penance and purification. Training - Indigenous cultures with sweatlodge traditions require that someone go through intensive training for many years to be allowed to lead a lodge. One of the requirements is that the leader be able to pray and communicate fluently in the indigenous language of that culture, and that they understand how to conduct the ceremony safely. This leadership role is granted by the Elders of the community, not self-designated. This leadership is only entrusted to those who are full members of the community, and who live in community. It is never given to outsiders who then leave to sell ceremony. Darkness - Many traditions consider it important that sweats be done in complete darkness. Placement - The lodge is placed in a location that will facilitate communication with the spirit world. Orientation - The door may face a sacred fire. The cardinal directions may have symbolism in the culture that is holding the sweating ceremony. The lodge may be oriented within its environment for a specific purpose. Placement and orientation of the lodge within its environment are often considered to facilitate the ceremony's connection with the spirit world, as well as practical considerations of usage. Construction - The lodge is generally built with great care and knowledge, and with respect for the environment and for the materials being used. Clothing - In Native American lodges participants usually wear a simple garment such as shorts or a loose dress. Modesty is important, rather than display. Offerings - Tobacco and other plants are often used as an offering. They can be smoked in a traditional pipe, sprinkled on the hot stones or offered to the fire. Support - In many traditions, one or more persons will remain outside the sweat lodge to protect the ceremony, and assist the participants. Sometimes they will tend the fire and place the hot stones, though usually this is done by a designated firekeeper. In another instance, a person that sits in the lodge, next to the door, is charged with protecting the ceremony, and maintaining lodge etiquette. Dog soldiers - Sometimes one or more persons, called 'dog soldiers', will remain outside the sweat lodge to tend the fire, place the hot stones, protect the ceremony and assist the participants. Smoke curls toward the sky as the sitting elder lifts the sacred pipe, lowers it to the ground and moves it around him. He's recognizing the Creator, honoring Mother Earth and calling on spirits to lend support. Ancient songs and drumbeats fill the simple dome-like structure. Constructed of gray willow branches and covered in black canvas, it sits low to the ground. The flap over the entry we crawled through has been closed, ushering in darkness. Medicinal water infused with juniper is poured over the red-hot rocks in a pit at the center. Fifteen of us sit on the ground, encircling this only source of heat. The idea that the human body can sweat out toxins is widely believed, and is in fact the basis for some businesses. Hot springs, sweat lodges, and pricey spas around the world offer "sweat wraps" and other techniques claimed to detoxify and purify the body. Things don't always go as planned. Personally I was invited to attend a sweat lodge in 1995 at a Sun Dance festival and declined. There is nothing that makes me feel more weak and sick than heat and humidity. I prefer cold climates. I know many people thrive in heat. I can never understand the human traditions of sweating, hallucinogens, or anything like that to heal and gain knowledge. We obviously are all programmed differently but I'm glad that I don't have to suffer to be at peace to understand the nature and patterns of reality. Even people who are experienced with sweats, and attending a ceremony led by a properly trained and authorized traditional Native American ceremonial leader, could suddenly experience problems due to underlying health issues. It is recommended by Lakota spiritual leaders that people only attend lodges with authorized, traditional spiritual leaders. If rocks are used, it is important not to use river rocks, or other kinds of rocks with air pockets inside them. Rocks must be completely dry before heating. Rocks with air pockets or excessive moisture could crack and possibly explode in the fire or when hit by water. Previously used rocks may absorb humidity or moisture leading to cracks or shattering. On November 2, 2009, the Lakota Nation filed a lawsuit against the United States, Arizona State, Self-help author James Arthur Ray and Angel Valley Retreat Center site owners, to have Ray and the site owners arrested and punished under the Sioux Treaty of 1868 between the United States and the Lakota Nation, which states that if bad men among the whites or other people subject to the authority of the United States shall commit any wrong upon the person or the property of the Indians, the United States will proceed at once to cause the offender to be arrested and punished according to the laws of the United States, and also reimburse the injured person for the loss sustained. 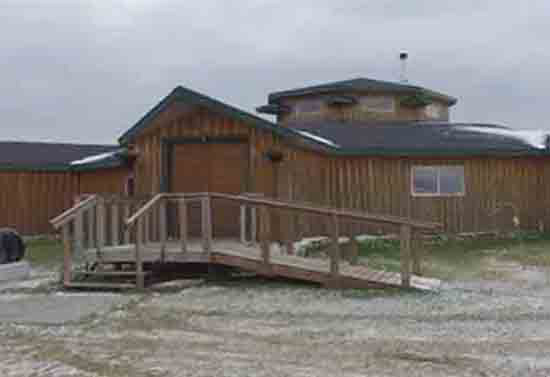 Preceding the lawsuit, Native American experts on sweat lodges criticized the reported construction and conduct of the lodge as not meeting traditional ways ("bastardized", "mocked" and "desecrated"). Indian leaders expressed concerns and prayers for the dead and injured. The leaders said the ceremony is their way of life and not a religion, as white men see it. It is Native American property protected by U.S. law and United Nation declaration. The ceremony should only be in sanctioned lodge carriers' hands from legitimate nations. Traditionally, a typical leader has 4 to 8 years of apprenticeship before being allowed to care for people in a lodge, and have been officially named as ceremonial leaders before the community. Participants are instructed to call out whenever they feel uncomfortable, and the ceremony is usually stopped to help them. The lodge was said to be unusually built from non-breathable materials. Charging for the ceremony was said to be inappropriate. The number of participants was criticized as too high and the ceremony length was said to be too long. Respect to elders' oversight was said to be important for avoiding unfortunate events. The tragedy was characterized as "plain carelessness", with a disregard for the participants' safety and outright negligence. The Native American community actively seeks to prevent abuses of their traditions. Organizers have been discussing ways to formalize guidance and oversight to authentic or independent lodge leaders. James Ray was convicted in June 2011 of negligent homicide and served three two-year sentences concurrently. Ray said at the hearing he would have stopped the ceremony if he knew people were in distress. He accepted blame for causing pain to the victim's families. 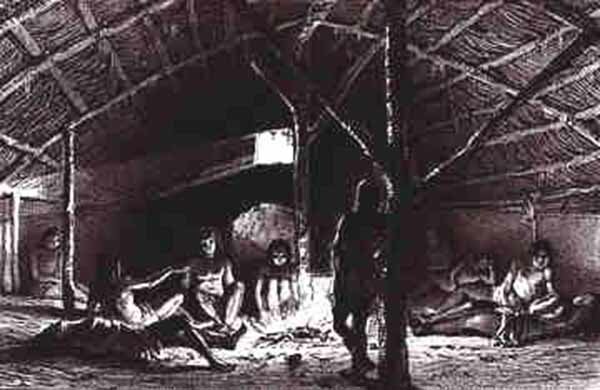 Use of the sweat lodge was chronicled by the earliest settlers in America. In 1665, David DeVries of New York observed Indians "entirely clean and more attractive than before" while sweat bathing. Roger Williams of Rhode Island wrote in 1643: "They use sweating for two ends: first to cleanse their skin; secondly to purge their bodies, which doubtless is a great means of preserving them, especially from the French disease (probably influenza) which by sweating and some potions, they perfectly and speedily cure." George Catlin wrote a lengthy description of the Mandan's sweat lodge in 1845, ending with the comment: "Such is the sudatory or vapour bath of the Mandans, and, as I before observed, it is resorted to both as an everyday luxury by those who have the time and energy to indulge in it; and also used by the sick as a remedy for nearly all the diseases which are known amongst them. Whether permanent, temporary or portable, they were smaller than other Indian structures, and usually domed and sometimes oblong. Nomadic tribes drove pliant boughs, such as willow, into the ground and arched them into a hemisphere, secured with withes. Stationary tribes used more substantial materials - logs and heavy bark. Temporary sweat lodges were covered with blankets or skins, while the permanent types were sealed with mud or sod. a more sophisticated type relying on a heating duct system believed to be of Mayan origin - like a sauna. The "Inipi" or "Sweat Lodge" usually occurs before and after every other major rituals like the 'Sundance' and Vision Quest. It is also a "stand alone" ritual meaning that it occurs whenever it is needed. This ceremony was given to the men by the women because women already had their 'moon time' each month and thus had the ability to cleanse themselves. These days women sweat also, but according to the views of the elder running the ceremony they may have to sweat separately from the men. The traditionals want men to sweat separately from the woman. The reason for this is that there are separate views within the community. Everything is done in the exact same way as in the old days. Opening prayers are done outside the lodge and the the elder enters. In our case the lodge door faces East as this is where everything starts. The elder enters and sits in the Western door. The Woman enter next and move clockwise around the pit in the center of the lodge and sit in the North facing the South. The men then enter and sit in the South facing the North. We sit on flat cedar bows that are cut fresh every week. When the elder is ready - the grandfathers enter. The first five stones must be brought in on the pitchfork one at a time. As each enters medicines are put on them like cedar, sage, sweetgrass, etc. each having a very different healing property. The first grandfather that enters is placed in the center to represent the Creator. The second is placed in the East and touches the center stone. The Eastern direction is the Eagle. The color is yellow and the season is Spring. The East is the spiritual direction and the Eagle is strong carrying our prayers to "Great Spirit." The third rock is placed in the South following the same protocol. The season is summer. The color is Red. The spirit keeper is the Coyote or Wolf. The jumping mouse also sits in the south. This direction is the one of love, emotion, community and introspection. The forth stone is placed in the West. The season is Fall. The color is Black. The Medicine Bear sits here and represents both the phyiscal strength and healing. The bear brings the healing to the people and is very powerful. My Grandfather's totem is the "Grizzly Bear." The fifth stone is placed in the North. The color is White. The season is winter. The Great White Buffalo sits here as does the Salmon. This is the direction of Wisdom and of sacrifice. This is where the elders sit. The buffalo and the salmon sacrificed themselves so the people could live and will always be greatly respected for that. In the end all we can offer that is truly ours is our flesh which is why we pierce at the sundance but that is an entirely different story. After the first 5 rocks have entered the next 7 are brought to make a total of 12. The number 12 is very significant. There are 12 moons, 12 tail feathers on the eagle, 12 months and so on. Next the water bucket is brought in and passed to the elder. A pipe is passed around. The Pipe holder asks the Spirits to come and join in the smoking of the Pipe. Only men smoke the pipe. Instead, women are touched upon the brow, and this is how they send their messages to the creator. 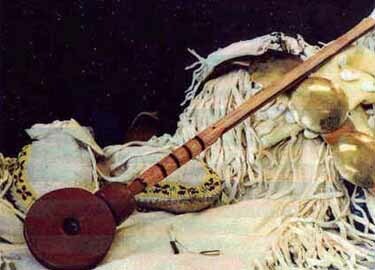 Medicine Women may smoke their own pipes and often have their own rituals that men cannot perform. The two main parts of the pipe that hold special symbolic value as do the materials used in their construction, Pipe-stone (bowl) and the wooden portion of the Pipe (stem). The joining of the two is considered a metaphorical marriage of Mother Earth and the creatures that inhabit the Earth. This is the main ideology behind the two materials joining and becoming one. The male portion is symbolized as the wood used in the stem. The wood symbolizes the connection between all the living things that inhabit the Earth. The wooden portion joins the stone portion similar to a male joining with the female. The Pipes themselves are adorned with elaborately shaped bowls resembling the Pipe holders Totem and Spirit guides. They are painted with colors depicting special meanings and feathers, adding an animal presence. Beads are mainly used for decoration but the colors have symbolic value. Each round twelve rock are added so by the end 48 have come in and two are left in the fire to represent Mother Earth and Father Sky. Each of the 4 round has a different meaning. At the end of each round the door is opened and the next set of 12 are brought in. There are songs, stories, teachings and prayers in each round as well as opening and closing songs. When everything is over the people exit the lodge. It is very important to note that it is a great honor to be invited to a sweat and that this ceremony was given to the First Nations People. 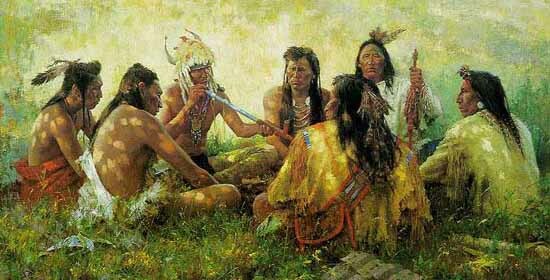 You need to take the Elder an offering as an act of repsect - Medicines, Tobacco, food, anything that has meaning and hand it to them while you are shaking their hand. The tobacco used in the Pipe is brought by the people who asked for the ceremony. It is their gift for the Spirits to come and guide the Medicine Man throughout the ceremony. Exactly four pinches of tobacco are used and must fill up the bowl at the end of the fourth pinch. These pinches of the tobacco are held out to the Four Directions to call forth the Spirits to accept the offering and hear their plea for guidance. The firekeeper will let you know if they don't want your help but most will be glad to see you maing an effort and completing the circle. Alaskan Eskimos, some Pacific Coast tribes and the Pueblo Indians in the Southwest built lodges heated directly by fire. They were usually large enough to accomodate dozens of men. A small pilot fire was kept burning most of the day. After hours of talk, gossip and dancing the fire was fed to a noble size, the lodge became torrid and sweating began. Although caustic smoke filled the air, these people made no effort to convert to the hot rock method, though they surely knew of this alternative. Without stoves or chimneys, a blazing central fire was the simplest way to convert a men's club into a sudatorium. When the smoke became unbearable, the men would simply lie flat on the floor and breathe fresher air. The Eskimos used the kashim as their social and religious center. It was a rectangular wooden structure, large enough to house bachelors and male travelers and as a clubhouse for married men. They were dug partially underground, insulated with dirt or sod with a single tunnel entrance and a small hole in the roof for smoke to escape. This style plank house was found along the Pacific Coast as far south as northern California. Central Alaskan Eskimos, lacking timber, never built sweat lodges. 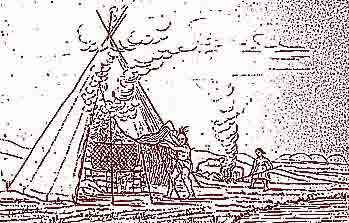 Aleutian Eskimos never built the sweat lodge until it was introduced by Russian traders in the early 18th century. Since ancient times, people have understood that their spirits are nourished through religious ceremonies. Sacrifice, prayer and self-denial have long been rituals through which people have found peace of mind. American Indians may experience visions or revelations from their Creator through dreams or by performing certain rituals. Just as Christians pray for guidance during church services, many Indians find that using a sweat lodge heightens their spiritual and religious awareness. A sweat lodge, also known as a sauna, is heated by fire or by pouring water over hot stones. Heat and steam cleanse the body, and they can also purify the spirit or soul. In addition to visiting a sweat lodge, some Indians meditate and fast in order to receive a vision to guide them. They may seek answers to a particular question, or look for broad answers which will help them live with dignity and honor on their journey through life. Youth use the fasting and meditation ritual in order to understand how to be of service to their People when they enter the adult world. It helps prepare them for a time when they might have to go without food by helping them understand their own bodies and the value of sharing. Ojibwe children are encouraged to find their own understanding of life. They may go alone into the woods or wilderness and fast as a way to receive their own guardian spirit.